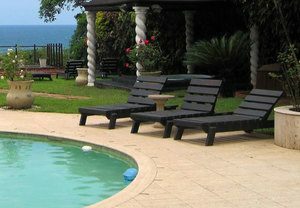 Chaise loungers are a multi-faceted seating option that looks just as at home by the pool as they do by the fireplace. Because of their diversity, there are so many points to consider before buying a chaise lounge. 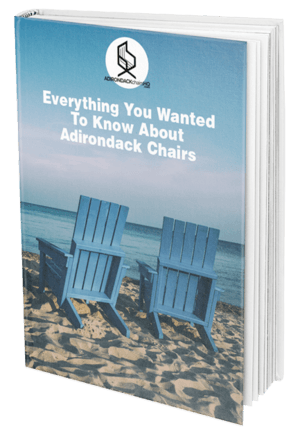 I wish I would have known more about these chairs before buying my own, but now I do, and I can share with you what you need to know before spending big bucks on a chaise lounge. To understand what you need to know about these chairs it first helps to know a little about them. These recliners were first introduced in France back in the 1700s, and their defining feature is their elongated seat perfect for reclining your whole body. They come in many shapes and sizes and are the ultimate in whole family lounging. Before you rush out to buy your chaise lounge, it is important to know as much as possible about these chairs. What is the Best Material for These Chairs? How Do I Care for My Chaise Lounge? Like most outdoor furniture lounges come in a variety of designs and materials that range in price, weight threshold, and durability. Knowing which material will work best for your budget and your weather is an important consideration. Aluminum chaise lounges tend to be popular because they are inexpensive and can hold a surprising amount of weight. Lightweight material makes it easy to move around and even bring to the beach. The material is water resistant, and aluminum doesn’t rust so with minimal care these chairs can last a while. Lightweight design makes it vulnerable to gusts of wind which may result in your chair flying into the neighbor’s yard. They don’t always look elegant which can downgrade the look of your outdoor décor. While the material is durable, it can corrode and tends to show off any scratches or dents it gets. Resin wicker is a PVC material, so it looks like traditional wicker but its much more durable. This material keeps its color and is easy to clean. Resin Wicker is a more attractive option than aluminum but still relatively inexpensive. Low-quality resins can become brittle over time and unravel. This material has a certain manufactured aesthetic that some people don’t like. It is a lightweight material often over an aluminum body, so there is still a risk of high winds taking your furniture. Softwoods have an elegant and timeless look. They offer more class and luxury than aluminum or resins at a fraction of the price of hardwoods. They are stronger and heavier, which means they support more weight and last longer than aluminum frames. Softwoods are not as durable as hardwoods and are easily scratched or dented. They need a fair amount of care and upkeep to protect from rot. The paint or varnish needed to protect the wood will fade in the sun and leave the chair looking old and worn. Hardwoods have a beautiful, elegant, and timeless look. There is little to no upkeep involved to keep this material looking fantastic for decades. Harwood resists scratches and dents and doesn’t show any that it may get. Hardwood is the most expensive material you can buy for your chaise lounge. Some hardwoods, like oak, need similar care and maintenance to softwoods to protect from the elements. When buying a chaise lounge you want to consider the chair’s main function. Before you use your space and resources, you want to be sure that this is the right chair for you and you have an idea where it will sit and how you will use it every day. If your chaise lounge is going poolside, the biggest consideration is that it is going to get wet. Whether it be from splashing from the pool or a wet towel draped over the seat, your chairs will need to be water resistant material. Another important consideration is the amount of sunlight your chair will see. If it is by the pool, odds are it is going to be under direct sunlight all day which will fade and crack many materials. Having a chaise lounge by the fire is surprisingly relaxing, but it is not without its downfalls. Resin wicker chairs are not the best material for this purpose because they can warp when heated. If you are using wood chairs, you want to make sure that any varnish or paint that you use is not flammable. One of the best things about a chaise lounge is that they are often big enough to fit more than one family member. If you think that you will have a few bodies on your lounge, make sure to get a material that is strong enough to support the weight. They make lounges in all shapes and sizes so you can find one that is wide enough to fit the whole family. There are so many different types of chaise lounges out there that it is hard to keep all of the different styles apart. One thing that you should always look for are any features that your chaise lounge may have that will set it apart from the rest. Some lounges come with wheels on one end which makes them much easier to pick up and move around the patio or poolside. This feature is great because the length of these chairs makes them awkward to move, but it is especially helpful on hardwood chairs that tend to be a bit heavier. Not all chaise lounges, but most have some level of adjustability. The back of the chair usually inclines or declines, sometimes to 90- and 180-degree angles. These adjustments allow for maximum comfort and diversify uses for the chairs. A few models even let you adjust the incline of the seat of the chair which is amazing for finding that perfect position. 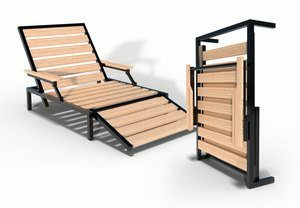 Some models of chaise lounges are stackable which saves space, but it also makes for easy storage. It also helps to protect the chairs and limits the possibility of wind gusts blowing around lighter materials. Size is the number one factor when considering a chaise lounge. One may not think that size is a feature, but it surely is. 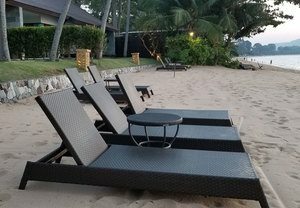 You can get a chaise lounge just big enough to fit yourself by the pool, or you can find one so large that a family of four and two dogs can relax in it all night. You must decide whether you want a lounge with cushions or not. On the one hand, cushions add a layer of comfort to your lounge and turn it into a place where you can potentially sleep all day. On the other hand, cushions are one more piece to the furniture that you must maintain. They get dirty easily, which is fixable enough with a quick wash. Though most are made to be water resistant since they are made to be outside, it is still possible for outdoor cushions to get moldy. Cushions can rip and need to be replaced which is an extra cost and makes your furniture look bad in the meantime. Most outdoor cushions are made to be tied down, but if they are not properly secured high winds will take them away. Color is not always an option, especially if you choose a hardwood like teak, but if it is an option, it should be a consideration. Outdoor décor is always changing, but your lounge should stay around for a while. Try to choose a timeless color that will always match your ever-changing outdoor look. Caring for your chaise lounge is an important factor in keeping your investment in top shape for years to come. Luckily, care and maintenance for these chairs are fairly easy. If your lounge has cushions, it is a good idea to bring them inside every once in a while. Allow the inside to air dry in the house while running the cover through the washer and dryer to clean the dirt and grime from outside. Once you remove the cushions from these chairs, it is a good idea to give the chairs a good wipe down with soap and water. By design, wicker has a lot of crevices that dirt can get into so it can be a time-consuming task to clean this material. To make life easier on yourself, invest in a pressure washer to quickly spray away dirt and grime even from the toughest areas on wicker furniture. Allow the materials to completely air dry before returning the cushions to their proper place. Taking care of wood is similar to taking care of aluminum and wicker, but with a few more steps. While regular maintenance, including pressure washing, is the same, wood requires long term maintenance as well. If your chair is softwood, you will want to paint or varnish your chair once or even twice a season to prevent damage from the sun, water, and bugs. You will want to give the same treatment to some hardwoods like out, though they won’t need it as often. Hardwoods like teak do no need a lot of care and upkeep because they produce their oil that protects the wood. One of the chaise lounges biggest benefits is also one of its biggest drawbacks. These chairs take up a lot of space whether or not they are in service. If you are looking to buy one or more of these seating options, there are a few more things to consider. First, make sure to measure the lounge and the space you intend to put it. You want to make sure that not only is there enough space for the chair, but there is adequate room to move around it naturally. There is also the matter of storage. If you plan on storing these chairs somewhere during offseason, you should measure that space before committing to buying the chair. If you know ahead of time that you don’t have a place to store the chaise and plan on leaving it out during non-use months, it is a great idea to grab a cover that will help combat the elements. Even if you do plan on storing it, a cover is still helpful to shield your lounge from sun and rain when not in use. 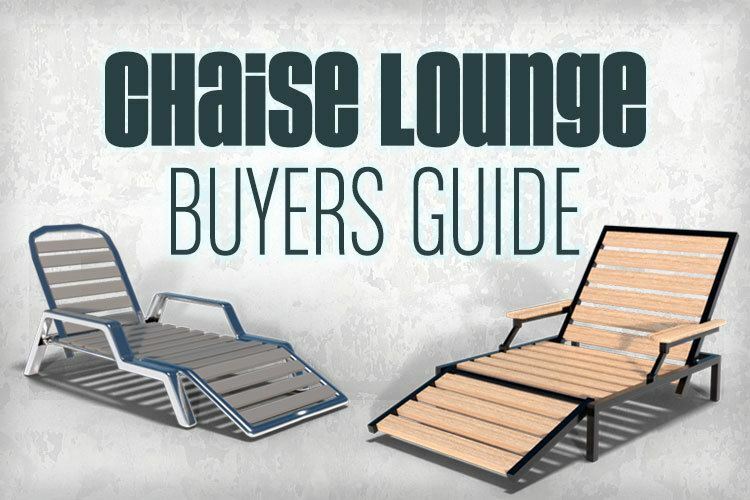 There is a lot to consider before buying a chaise lounge, but that should not discourage you. 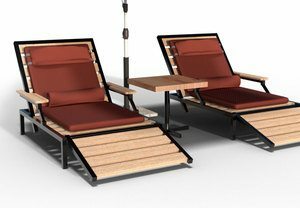 All of the considerations only mean that you will end up with the perfect chair for tanning by the pool or roasting marshmallows with the family. Other considerations, including space and long-term care guarantee that you will never have any buyer’s remorse over your new favorite spot to sit. Just be sure to buy a lot of sunscreen at the same time as your chaise lounges because once you lay down in one of these you will never want to go inside again. Going to design your patio? First, read our article on what I wish I would have known before designing my patio so that you design a perfect patio.